What kind of a scientist is Kurisu if she does not experiment, right? It definitely shows in her cooking (for better or for worse). That time when they prepared a party for Suzu, she almost gave everyone a heart attack with the ingredients she bought. Today is no exception. 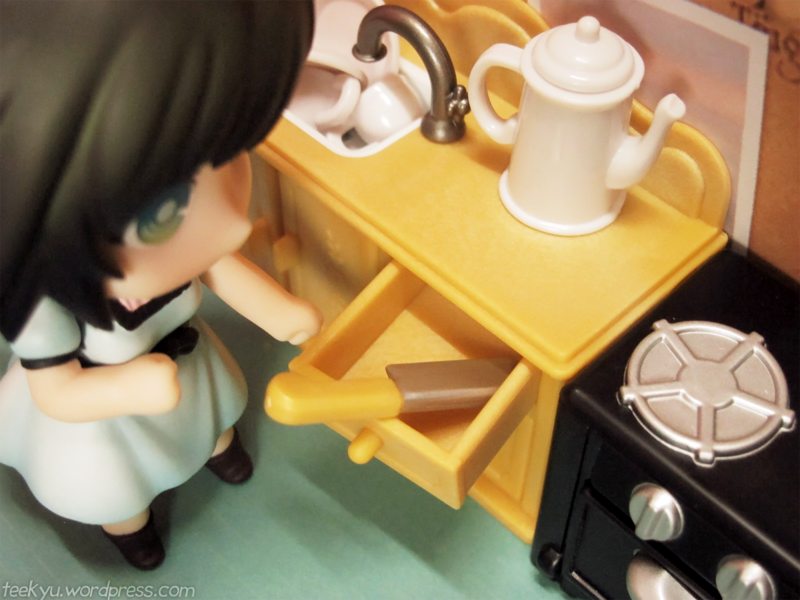 The girls visited Mami because she has a proper oven for baking. 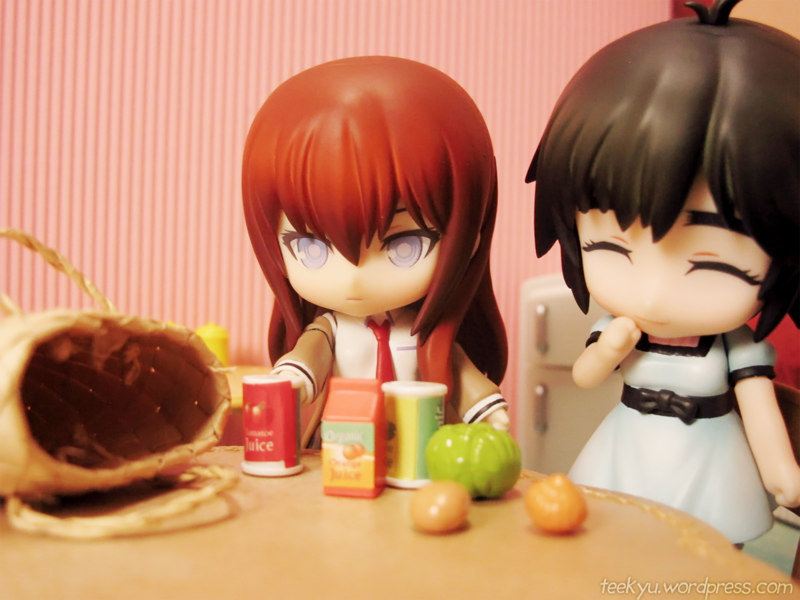 “Kurisu-chan, these are strange ingredients to get for making a cake!” Mayushii laughs. “Please get a knife Mayushii. 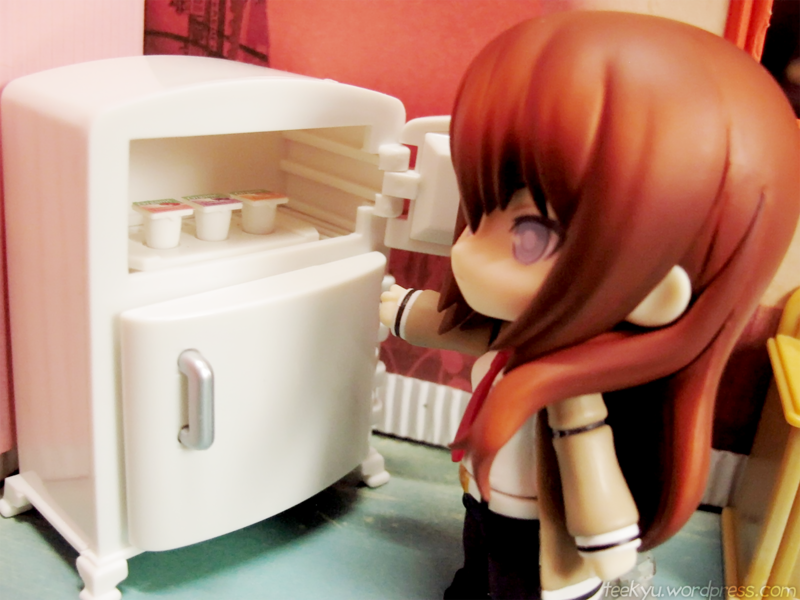 We need to chop the cabbage.” Kurisu pointed towards the cabinet. “Kurisu-chan can I chop it? 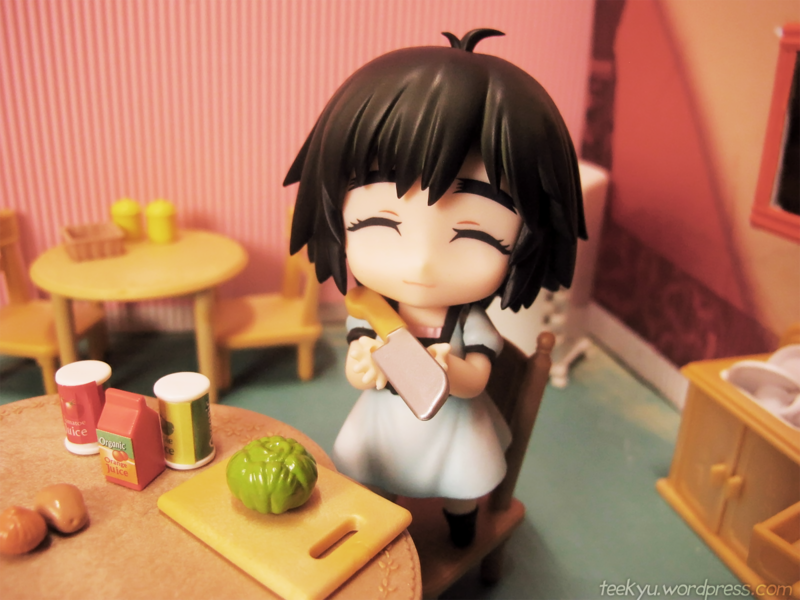 Pleeeease?” Mayushii holds the butcher knife up. 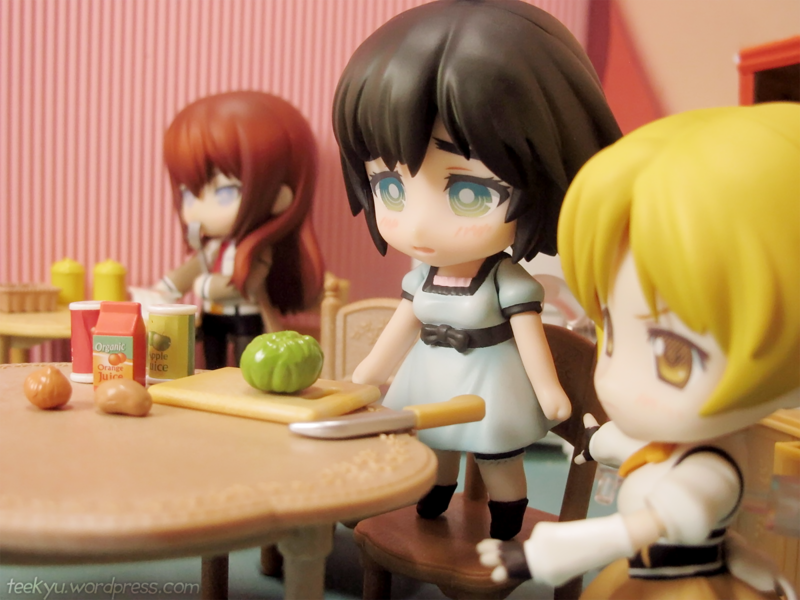 Meanwhile, Mami arrives from her puella duties and finds Mayushii chopping up the cabbage. “What do you think you’re doing? I thought you girls were going to bake a cake? !” she said. Mayushii drops the knife in surprise. 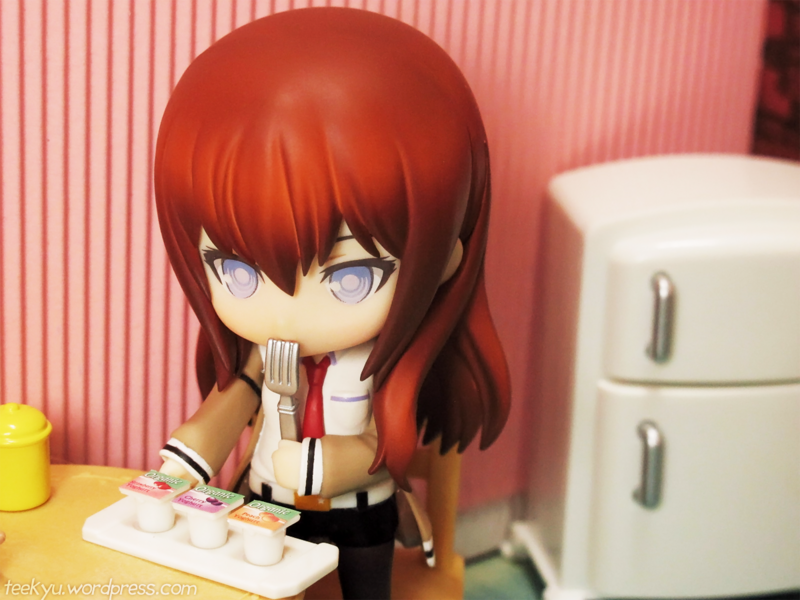 Kurisu was too busy nomming on her dessert to notice. “Aaaah, it can’t be helped, I’ll give you a recipe on how to bake a cake.” Mami writes on a piece of paper. Yay Mami! Perhaps this time, Mayushii and Kurisu will be able to actually bake a cake for Okabe this Valentine’s Day.